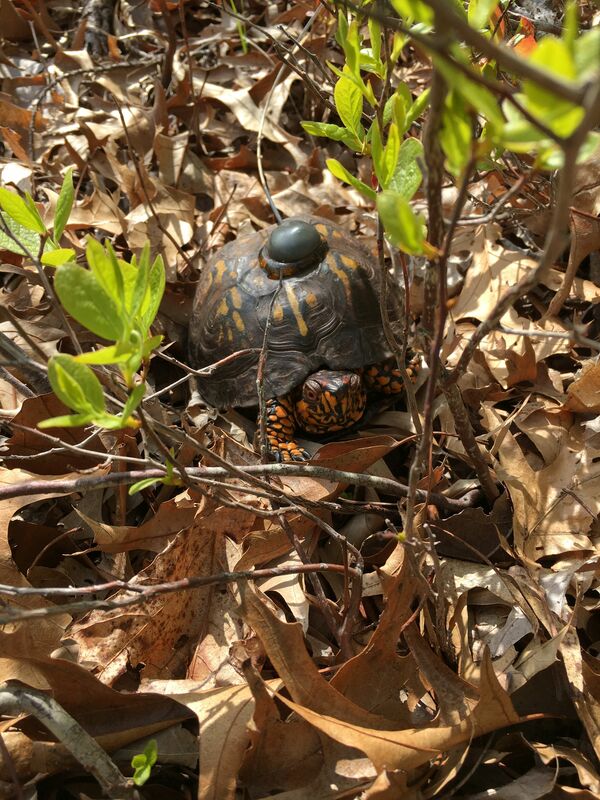 A Long Winter’s Nap: How Do Box Turtles Know When to Emerge in Spring? Many of our local reptiles have evolved ways for dealing with cold weather. 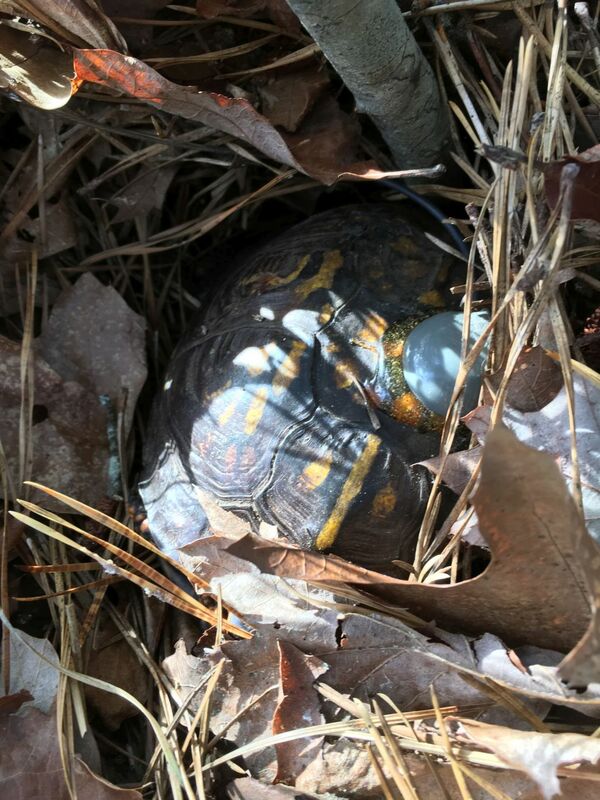 Eastern box turtles hibernate or brumate in burrows which they excavate in soft soil. Here they spend the cold months in a state of dormancy using as little energy as possible. Box turtles are freeze tolerant; they are the largest vertebrate that can withstand icing of their internal organs (for a short period of time). 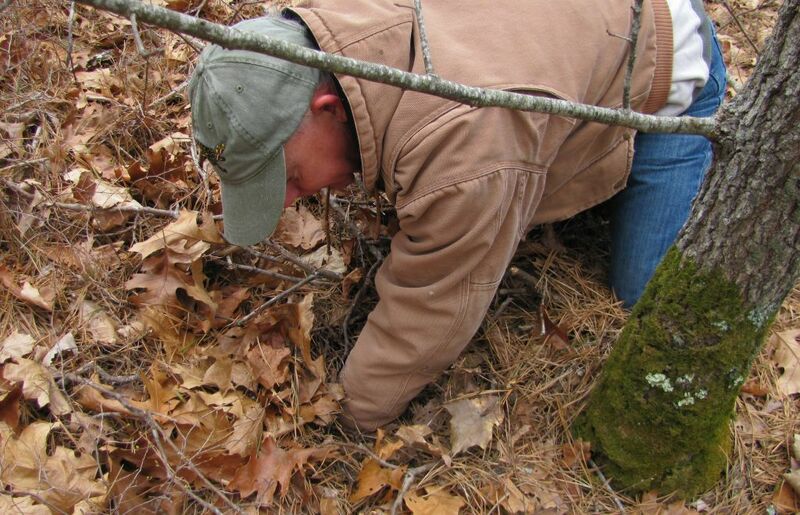 We think we know what triggers brumation in the fall: air and soil temperatures and length of day each plays a role. But what are the cues that cause turtles to emerge in the spring, especially since light rarely penetrates the burrow? I wanted to see for myself so I designed a brumation study around two radio tagged box turtles here at the sanctuary to see just how soil temperature affects their entering and exiting brumation. 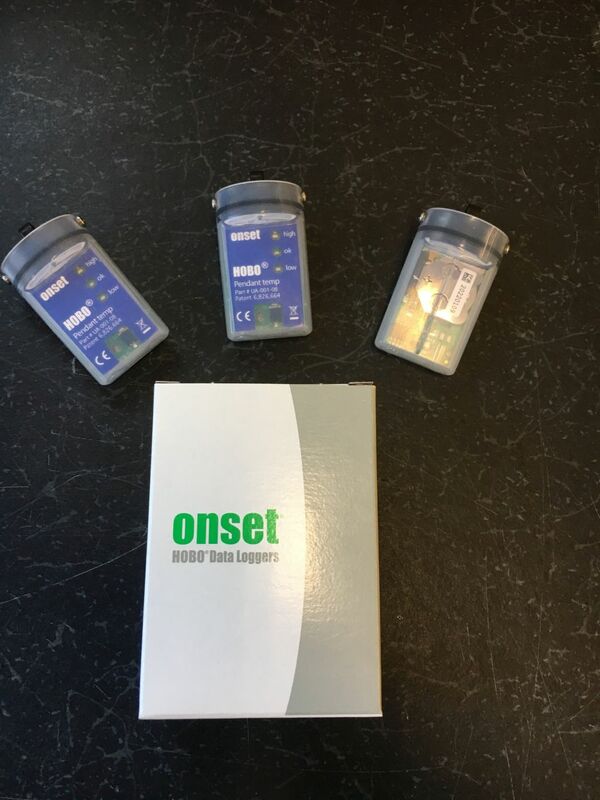 Data loggers for recording soil and air temperature at two box turtle brumation sites in the winter of 2018. The plan would be to closely monitor each turtle as the weather got colder and note when the animal entered brumation. At that time I would place an electronic temperature data logger in the burrow with the turtle as well as an identical control logger at the surface to monitor ambient temperature. I programmed the loggers to record temperature every 4 hours. My guess was that the soil temp would fluctuate with air temperature. The two turtles that I chose are resident turtles who typically brumate at opposite ends of the sanctuary in different habitats. 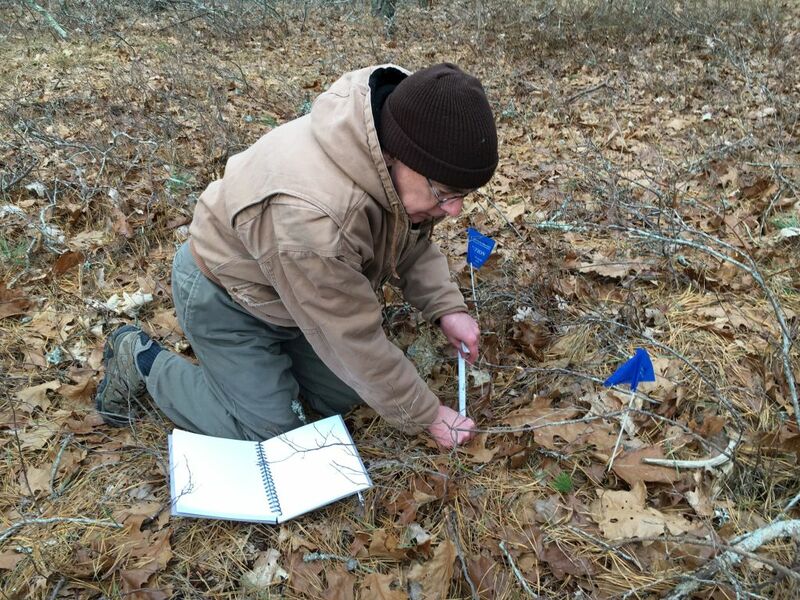 One brumates in the woods while the other overwinters in successional habitat between the woods and the heath field. Both are older adult turtles; #63 is a big female while #348 is an average size male. You can just barely see turtle # 63 as she begins to dig her burrow. The gray device on her shell is a radio tag so she can be found. The female entered her brumation burrow on November 1 with the ambient temp at 44 degrees and the soil temperature at 58 degrees. She rested at a depth of 5 centimeters for most of winter, which is somewhat shallow (average brumation depth is about 10 cm). Would she survive our exceptionally cold winter? I checked both turtles every couple of weeks and noted their positions within their burrows monthly by reaching in and touching them. The female stayed in her burrow for 178 days. She saw an average ground temp of 42.1 degrees and a minimum temperature of 33.0 degrees (January 4th). On April 26, she emerged. The air temperature at the burrow on that date was 53 degrees and the soil temp was 50 degrees. Still a bit sandy from her winter’s rest, turtle # 63 welcomes spring. The male entered brumation on November 26, fairly late in the season yet typical for this turtle. Turtle # 348 begins his winter dig. On that date the air temp was 40 degrees and the soil temp was 50. He eventually rested 18 cm below the surface which is fairly deep for a box turtle. He brumated for 161 days. 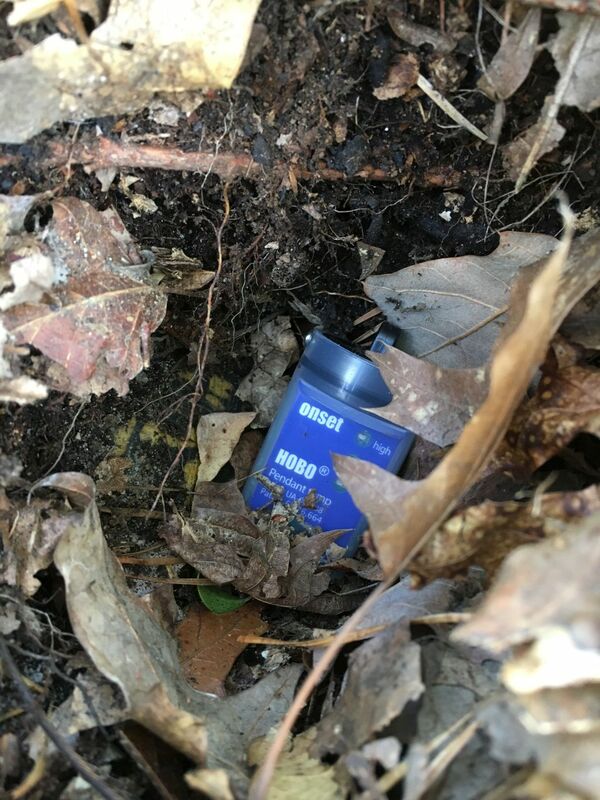 Data logger records air and soil temperature at a turtle burrow. # 348’s average ground temperature was 42.2 degrees and he saw a minimum ground temperature of 34.9 degrees (January 8th). He emerged sometime between May 2 and May 4. The ambient temperature on May 3 was 57 degrees and the soil temp on May 2 was 50 degrees. Turtle # 348 emerges in early May. So what did we learn? It appears based on our very small sample size that both turtles, brumating at different locations and at different depths, saw nearly identical average soil temperatures throughout their brumation. I also found it interesting that each turtle emerged when the soil temp in its burrow hit 50 degrees. Also each turtle experienced a nearly identical minimum temperature which was just above freezing. 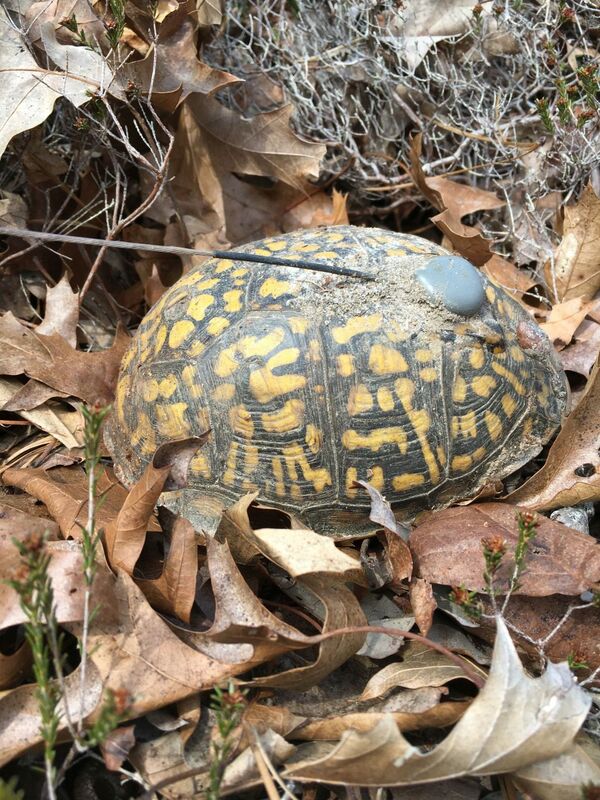 So is 50 degree soil temperature the trigger that causes box turtles to emerge in the spring? Also, do they seek a depth in the soil that will allow them to rest comfortably in temperatures ranging from the low to mid-40s and avoid freezing temperatures? I plan to monitor a larger sample size of turtles on the sanctuary this winter to see if we can answer some of these questions. 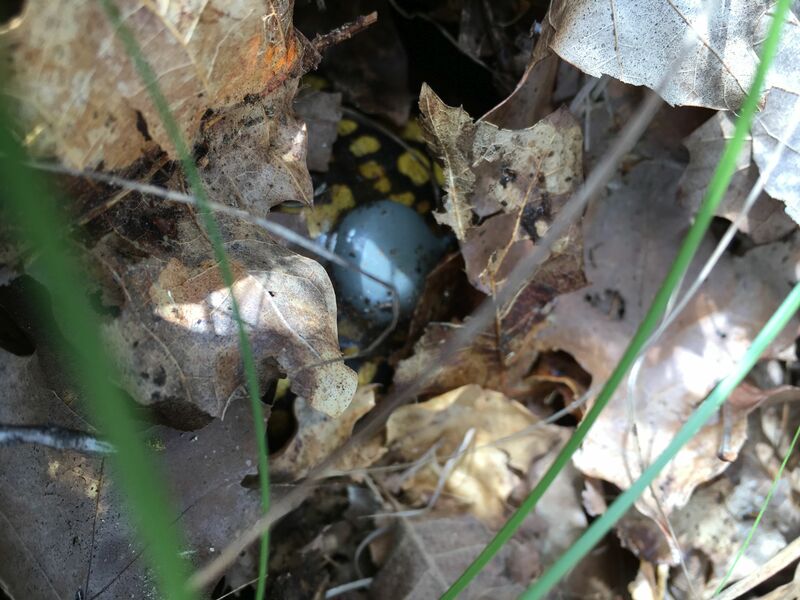 This post was contributed by turtle volunteer Tim O’Brien, who, when he isn’t studying box turtles at the sanctuary, can be found transporting injured box turtles and diamondback terrapins to Tufts Wildlife Clinic at the Cummings School of Veterinary Medicine in Grafton. He and his wife Kim Novino also rescue cold-stunned sea turtles in the fall. This entry was posted in Updates on June 26, 2018 by Wellfleet Bay. Tim is a true friend to turtles. This post is full of great information and a glimpse at Tim’s love of turtles. I am proud to call hima friend.